and was identified as its own species, Teratornis woodburnensis. "It would have dwarfed people. What I thought was a rib because it was flat and curved turned out to be a mandible of the jaw," Stenger said. Ellingson and Woodburn High School students were responsible for the second major find: a nearly complete skeleton of the extinct ice age bison, Bison Antiquus, at a dig at Woodburn High School in 2008. Now the diggers are hot on the trail of another bison skeleton. Excavations found partial pieces of a bison skull at Legion Park last year, and this year they've managed to find possible bone fragments from the ice age megafauna and what may be part of of a vertebra. Volunteer Pam Horam found the possible vertebra piece. It's Horam's third year digging at Legion Park. She said that she usually only finds small bones or seeds when she's at a dig. "The other day I found what Dave thinks might be a bison vertebra, I'm one of those people that hardly ever find anything, so it was like, woah!" Horam said. Volunteer Susan Luchs found parts of a bison skull in the same location last year. "I found three teeth and several big chunks of skull, we know it's over there somewhere," Luchs said. "I suspect we'll have to wait until next year to find the rest of it." Volunteer Alicia Rice said the popular idea is that the high school dig site may have been wetter, which would explain the higher concentration of aquatic animals like turtles, water fowl, small amphibians and muskrats at the high school. Legion Park yields more fragments of large mammals like bison. "The joke is maybe this was a stampede, and they were all drinking water over there and something spooked 'em," Rice said. New ground is also being broken on a much smaller scale by the excavations. 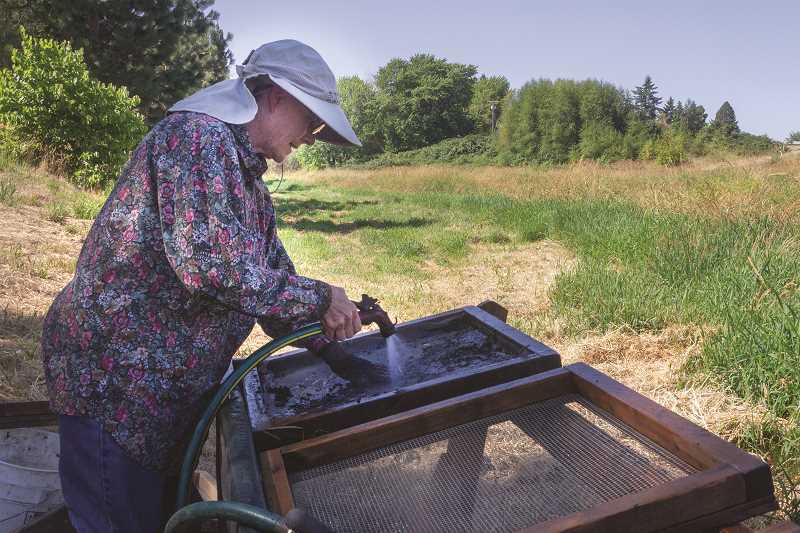 Researchers from Portland State University took soil samples from sediment at Legion Park last year as part of a search for viral DNA, and recently identified two new samples. "That was cool, kind of a surprise," Ellingson said. "They've been up and down Oregon and this is one place they've been able to find new DNA samples," he said. 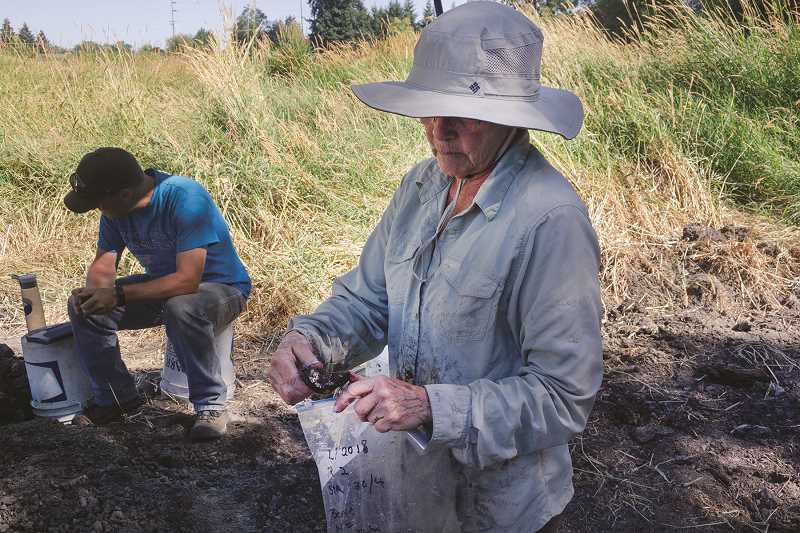 The Portland State researchers have been given more samples of sediment from Woodburn's dig sites for testing. "There are a whole bunch of different options we have with this site, plants, animals; we can get the big stuff like bison and the little stuff like viruses," Ellingson said.